10, rue Joliot-Curie - Z.I. 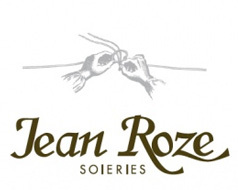 The Jean ROZE company is located in Saint-Avertin, southward in the surroundings of Tours, along the Cher river. Tours and its surroundings have a close historical link with the silk industry in France. On Louis XI initiative, a first attempt was made to set up a silk trade activity in Lyon to restrict Italian silk imports. This attempt failed as the Italian importers, heading for ruin, manipulating against the project. In 1470, King Louis XI, living at that time in Plessis-lès-Tours, took the decision to implant a new silk factory closer to his home and the Court. Tours then turned into a general warehouse and silk industry became flourishing 800 masters and 6000 apprentices were working in the field. It's Tours, where activity had grown considerably, which provides the hangings of cloth of gold camp in 1520. Material was sold during two annual fairs, lasting 15 days in May and September and standing at Place Foire le Roi. During the 16th century, this luxury industry, whose quality has been competing with Lyon's for a long time, nurtured a third of the working population of Tours. If England is since the nineteenth century the first market of the company that provides Queen Victoria as Queen Elisabeth II, Jean Roze has developed many other export markets in Europe, but also to the Arab countries or Russia. The company’s business is divided into three areas which are related to distinct customers groups: the traditional manufacturing with its ancestral know-how, deep and under control, specifically intended to for the great classic designs or the restoration of monuments. The manufactures meant for decoration and the collaboration with designers for a contemporary clientele. There are many references acquire in France or abroad, from the Loire valley castles such as Chambord, Villandry or Valençay to more distant Monuments such as the Mauritshuis museum in The Hage, Chatsworth Castle in Great Britain or the princely residences of the Emir of Qatar. Today, the company, under the management of Antoinette ROZE, daughter of Jean ROZE, a member of the twelfth generation, continues to develop its specialisation in the weaving of silk upholstery fabrics for a professional clientele in France and abroad. It sells over 70% of its turnover. 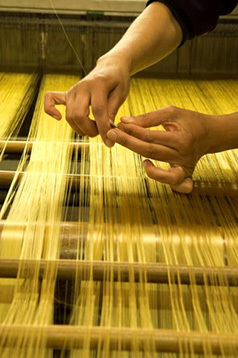 Today, it is able to implement its very extensive know-how, gained on silk, to other materials such as cotton, viscose, wool or linen, in order to obtain a variety of fabrics, a characteristic development of a family company which has been able to see its future, from generation to generation, without even for a moment lowering its requirements or losing its profound respect for quality. It was King Louis XI who, by the Decree of Amboise in 1470, decided to establish a silk fabric manufactory in Tours. To succeed in doing so, he brought there Italian workmen, together with their equipment, thus giving birth to a very significant activity which survives in our times. The bonds which unite the ROZE family and the silk manufacture of the Touraine go back to the middle of the XVIIth century, to the arrival in Tours of Jehan Baptiste ROZE, the first of a long family line. He settled in Tours after his marriage to Mademoiselle MOUSSARD. Being himself the son of a manufacturing merchant established at Oulchy le Château in Picardy, and married twice, he also married twice the daughter of a Touraine manufacturing merchant. He secured the title of a "Master manufacturing merchant of gold, silver and silk fabrics", became a King's Counselor and rose to the rank of a Count. His portrait, painted by Largillière, now hangs in the Musée des Beaux Arts in Tours. From this time forward, the passion of this family for its trade has increased in Tours, and nothing was able to disturb it for 12 generations to come, neither revolution or war, nor economic crisis. The ROZE factory undoubtedly owes its longevity to the caliber of the men who, being genuine entrepreneurs, knew how to take the right decisions at the right moment. Caught up in the torments of the French Revolution, Jacques Alexandre ROZE-ABRAHAM was able to continue his activities by designing new articles, woollen carpets and covers, in order to make up for the absence of customers and problems of the silk market. This activity became very prosper. It commissioned the first steam engine in the region and operated in the quarter of Sainte Anne until the end of the XIXth century. 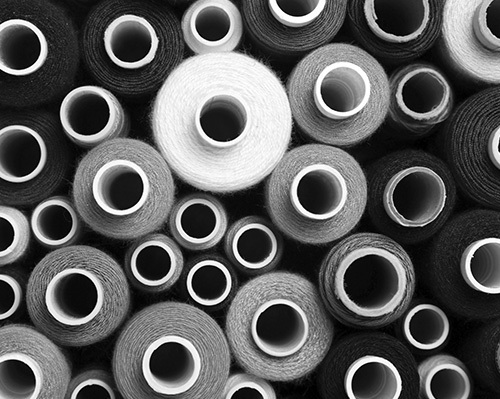 At the same time in 1819, the son-in-law, Frédéric PILLET-ROZE, was able to resume the manufacturing of silk fabrics thanks to the return of well-being customers. The XIXth century was a period of deep economic changes. Thus, as the records of designs of the manufactory show, it was around 1850 that the Jacquard loom made its appearance in the Tours workshops. It is easy to imagine the extensive work the workmen, foremen and personnel had to do in order to create the cards of every existing design, to improve the techniques and to adapt to these developments. In this context, Louis ROZE-ROZE, a member of the eighth generation of the family, took charge of the destinies of the family factory at the age of 24, after a brief association with his cousin PILLET. He moved it to new premises, had to cope with the economic crises of his time and to do so, he opened workshops in Lyon and Roubaix. He developed new types of fabric and top grade upholstery silks, which suffered less from the then very strong competition from fabrics manufactured in northern France. His successors have continued along this path and enjoyed a period of great prosperity, especially during the nineteen twenties. But the big crisis of 1929, which even led to the cancellation of orders already being woven, proved a serious blow to the company and was soon followed by the Second World War which put the company in deep difficulties. On taking up the reins of the company, Jean ROZE, whose name the company now bears, in turn endeavored to adapt to the new economic circumstances. He undertook its mechanisation and then, in 1972, moved it to the Zone Industrielle of Saint-Avertin. The sole purpose of this step was to make it possible to continue the manufacturing of fabrics which had made the reputation of the company for quality, patterns and know-how.